Jeff Macauley is a 2016 MAC Award nominee and Backstage Bistro Award winning cabaret singer. 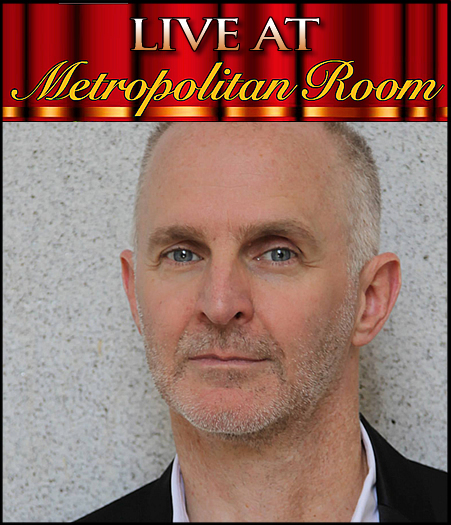 "It Was Me, The Lyrics of Norman Gimbel" earned Jeff a Broadwayworld.com Cabaret Award nomination in 2012 and is coming back for just this one performance. "It Was Me" has been performed in both Los Angeles and New York and is also a studio recording available on CDBaby and Amazon. In previous shows, Jeff Macauley explored the rich world of early musical films in "Hollywood Party--Movie Songs 1928-1936," and most recently paid tribute to beloved singing star and Hollywood icon Dinah Shore on the occasion of her 100th birthday in the acclaimed revival of "MWAH! The Dinah Shore Show," for which he received Backstage magazine's Bistro Award in 1998. Jeff was nominated for a 2016 MAC Award for "Male Vocalist" as well as a BroadwayWorld.com award for "Best Tribute Show" for his latest show "Mr. Lucky: The Songs of Henry Mancini." "It Was Me" looks at the great lyricist Norman Gimbel. Maybe a name you're not too familiar with, but you certainly know the songs and film and television themes he's written: Boy From Ipanema, Meditation, Summer Samba, Killing Me Softly With His Song, Bluesette and It Goes Like It Goes are just a few. Norman Gimbel won an Academy Award and two Grammys for Song of the Year for his lyrics. The gorgeous arrangements are by Tex Arnold, who is on piano and the wonderful Jon Burr is on bass.